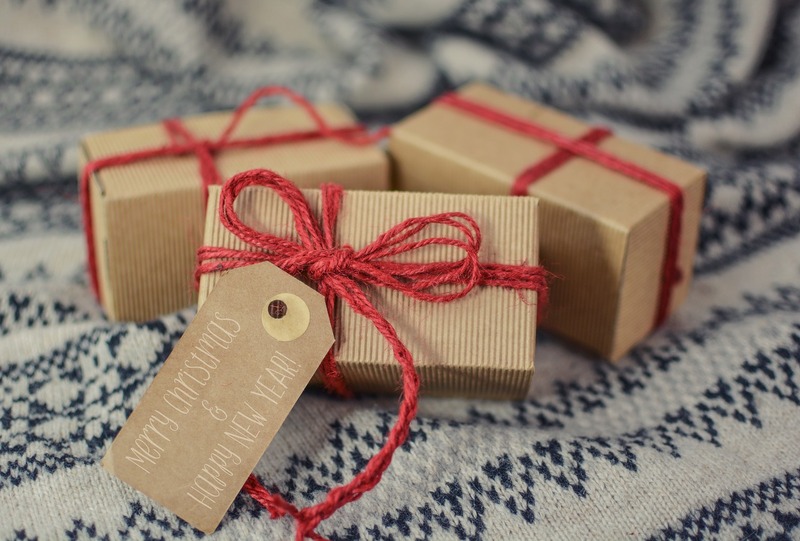 An almost cliché question we hear this time of year is this: What can I give the King? We hear it in songs and Christmas pageants, but the question is one that we should all take a moment to consider: What does God want from us in terms of giving? Is there a gift we can give to Him? In my previous post, I told a story of a time when God asked me to give away a sum of money at a consignment sale. It was during a lean season of my life, so I was reluctant to give away the funds because I didn’t have any to spare, but I felt that God wanted me to simply trust Him. So I did as He asked and gave away $20 to the first person I could find, and He taught me an important lesson about the kind of giving He wants. It was sometime after that that I studied a story of a widow in need in 1 Kings and learned more about giving, God-style. In 1 Kings 17:7-16, a widow is down to her final provisions when she encounters the prophet Elijah. Elijah sees her at the town gate and asks her for some bread and water. She responds by saying: “As surely as the Lord your God lives, I don’t have any bread — only a handful of flour in a jar and a little olive oil in a jug. I am gathering a few sticks to take home and make a meal for myself and my son, that we may eat it — and die” (v. 12). Elijah tells her to first make him a loaf of bread out of what she has and then make one for herself and her son. And when she does, he promises her that her “jar of flour will not be used up and the jug of oil will not run dry” (v. 14). So she goes away and does what Elijah instructs — and, as a result, has enough for not only the one meal but many more meals after that. The story is not the first in the Bible where a person is asked to give up what he or she has and trust God. In the story of Abraham, he waits for years for the promised child, and then God does something that must have appeared insane. He asks for Abraham to sacrifice his son. And did Abraham think God asked for too much at this point? We don’t know because Scripture doesn’t tell us that. What we do know is that Abraham had been walking with God long enough to know that God would come through and that God could be trusted. So he gets up early, packs the necessary supplies, and takes his son with him to build an altar and do as the Lord had said. Except when he goes to bind the son to the altar, he sees a ram tangled in the bush and is told by an angel to sacrifice the ram instead. He is prepared, though, to kill his son because he knows that God has the power to raise his son from the dead. Similarly, in yet another part of Scripture, the Israelites are put to a test of trust by God. When the Israelites come up against the Red Sea, they grumble, saying, “It would have been better for us to serve the Egyptians than to die in the desert” (Exodus 14:12). But Moses says, “Do not be afraid. Stand firm and you will see the deliverance the Lord will bring you today” (Exodus 14:14). Though they have been led by God to a mighty obstacle — straight to a huge expanse of sea — God lifts that obstacle and makes a way through the sea by parting it so that they can escape their enemies and get to dry land. Abraham and the Israelites are in hard situations, like this widow — and yet, we see how they are delivered by God when they do as He says and let go of whatever is in their hand — whether that be the plan they had, their son, their comfort level. With this encouragement to give up what you have, I don’t mean go drain your bank account, stop your savings plan, or harm one of your children. (God had a specific plan for asking Abraham to do what he did, and it’s important to read the passage in context and understand God is not asking us to harm anyone.) Saving and wisely managing our money is biblical, as is treating other people kindly. But I do say that God asks us to give in ways that are sacrificial. It might not be financial — He will ask of to give of ourselves. And we may be dumbfounded when God asks for what we have because it is all we have. But we must look at what happens to the widow in the story in 1 Kings. Her gift is costly and requires her to act in faith when circumstances would deem it wiser to hoard her final meal. But when she gives, she and her son are saved and have provision after that when the situation could have gone a different way. The very next night [the day after the consignment sale], my husband came home with a $25 gift card from one of his drivers. He had picked up an extra job at a driving school when I quit teaching to help cover some of our expenses. One of his students’ parents had given him an unexpected tip. Not even one day had passed and I got the return for the small bit I had given away. With $5 added to it. Instantly, I felt ashamed of how I had doubted God could supply for me in my want. And when I do – He delights in showing me what an easy thing it is for Him to replace, even surpass the little that I give away. Our challenge is this — if God is asking us to give something, let’s give it away knowing that when we do, He’ll fill us to a greater measure. Whether it be a job, a title, a relationship — whatever it is, let’s do it gladly knowing that God can bring to life whatever it is we lay down. Editor’s Note: This post was temporarily suspended (as was the podcast) to edit the accompanying podcast, but due to technical difficulties, the podcast is not uploaded at this time. We’ll keep you posted on the podcast. Thanks and Merry Christmas! For an in-depth discussion of this passage, a great resource that expands on giving up what we have to be used by Jesus is the book mentioned in the podcast: The Blessings of Brokenness, by Charles Stanley.